HIAWASSEE, Ga. – It’s official. 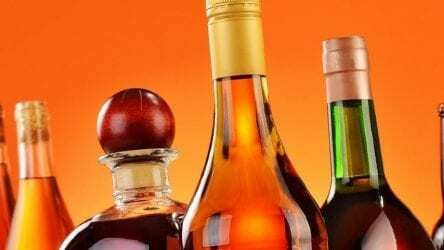 After a lengthy process, a liquor-by-the-pour ordinance was adopted by Towns County Sole Commissioner Cliff Bradshaw during his regular monthly meeting Tuesday, March 19. Commissioner Bradshaw and county staff spent many hours drafting the mandate, and reported that as many as seven revisions were necessary prior to the commissioner’s approval. Establishments holding an alcohol license will be permitted to serve spirits from 11 a.m to 11 p.m. Monday through Saturday. There must be at least a 50-50 percent ratio of food to alcohol sales. Venues must be located beyond 100 feet of a school, church, or funeral home. License permits are expected to become available next week at the commissioner’s courthouse office. The fee for on-premise beer and wine licenses is fixed at $1,000. A combination license to additionally serve liquor on-premise is set at $3,000. Event permits will cost vendors $25 per day. A charge of $125 is required to alter wording, such as an establishment’s name, on licenses. The liquor referendum appeared on the November 2018 ballot, garnering 66.67 percent approval from Towns County residents. HIAWASSEE, Ga. – Voters in Towns County were given an option on the Nov. 6 ballot to accept or reject a referendum that would allow licensed establishments to serve alcohol-by-the-pour. A total of 66.67% of citizens favored the decree, with 33.33% opposing the mandate. A second referendum appeared on the ballot for voters residing within Hiawassee city limits, classified as a “brunch resolution” which will permit Sunday alcohol sales to begin at 11 am rather than 12:30 pm. The brunch resolution was accepted by 61.41% of voters. A total of 38.59% rejected the brunch bill. Hiawassee attempted to include a liquor store referendum on the November ballot by collecting the amount of signatures necessary for an allowance. A state requirement to include the referendum on the ballot stipulated that 35% of valid registered voters from the 2016 General Primary election, currently residing within the jurisdiction, must add their names to a petition in a show of support. The computed amount was set at 233 signatures. Of the 304 signatures collected, 181 voters were verifiable by the Board of Elections. The package store petition contained 56 duplicate names, while 64 signatures were shown to be attached to individuals not registered to vote, residing outside of the city limits, or deceased. Hiawassee aspires to garner the amount of signatures needed to include a package store referendum on a future ballot. HIAWASSEE, Ga. – Towns County Commissioner Cliff Bradshaw held his regularly monthly meeting on the evening of July 17, 2018, and concluded the session by receiving public questions and comments. 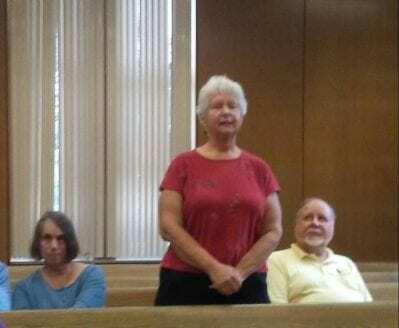 Liza Stroub, a Towns County resident who moved from the Atlanta area six years prior, publicly voiced three separate concerns to Commissioner Bradshaw. In keeping with his campaign promise, Commissioner Bradshaw intends to include liquor-by-the-drink on November’s ballot, which would allow establishments to serve spirits. However, the commissioner has no plans to initiate a vote for a full liquor store. Bradshaw informed Shroub that the city of Hiawassee is presently attempting to gather enough signatures to add a package store referendum on November’s ballot. “They may get enough (signatures) in the city. I don’t know. I know they’re working very hard over there,” Bradshaw said. Liza Stroub inquired whether a petition could be circulated to force a vote onto the ballot. Bradshaw replied that it could, and stated that he would contact Towns County Attorney Robb Kiker in order to learn the specifics involved. In the case of Hiawassee, 35 percent of registered city voters must sign a petition in order for the referendum to appear on the ballot. 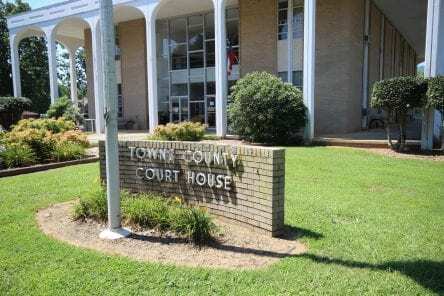 The deadline to submit the petition to the Towns County Board of Elections is August 8. Additional concerns raised by Shroub consisted of a perceived lack of animal control in Towns County, followed by a complaint of abandoned vehicles on property, along with litter on roadways, with Shroub stating there is trash “all over the county.” A citizen who attended the meeting with Shroub agreed, citing Tallulah River Road as heavily littered. “We don’t have trash all over the county. I beg to differ on that. There is trash, but to say it’s all over the county is an overstatement,” Bradshaw rebutted, later stating to FetchYourNews that the Department of Transportation and detainee crews are deployed to contain litter on state and county roadways. Of note, Town County participates in Clean Sweep Week annually in April. The most recent event yielded 240 bags of litter. The civil discourse concluded with Bradshaw promising to include the issues of discussion on a future agenda, and Shroub vowing to return with a crowd in tow. Commissioner Bradshaw will hold his next monthly meeting on August 21, at 5:30 p.m. at the Towns County Courthouse.